This week, Bohemian Rhapsody opens in theaters, telling us the story of Queen's rise to fame while focusing on the life and times of lead singer and LGBTQ rock icon Freddie Mercury. While the reviews of the biopic are mixed (with complaints revolving around the fact that the movie skims over Mercury's interior life as a gay man in the '70s and '80s), we can basically all agree Queen is one of the best bands in history, with a list of amazing hit singles longer than Mercury's spandex-covered arm — "We are the Champions," "Under Pressure," "We Will Rock You," "Another One Bites the Dust," "Killer Queen," "Somebody to Love," "Crazy Little Thing Called Love"… and on and on and on. But what about their other songs, the ones we don't know every last word of like we do "Bohemian Rhapsody"? Let's check out some of Queen's deep cuts and discover some new ballads and anthems that aren't already etched into our brains. Released in 1975 as part of Queen's fourth album, A Night at the Opera, "The Prophet's Song" was written by the band's guitarist, Brian May and, at over eight minutes long, the band's longest song with lyrics. A fan favorite, this song is just as fun and epic as "Bohemian Rhapsody," with a mystical feel and a progressive-rock sound. But since it shared an album side with the famous single, it didn't get as much credit as it deserved. It's little wonder that this forgotten Queen song didn't hit the charts. It had to share album space with "Tie Your Mother Down" and "Somebody to Love," all off their 1976 effort, A Day at the Races. Still, it's a multi-key, multimeter song (like "Rhapsody") written by Mercury that also highlights John Deacon's bass playing. More: Where Did Lady Gaga Get Her Stage Name? This is the first single off the first album by Queen. Released in 1973, this track did get a little radio play and squeezed itself onto the band's greatest hits album — but most people still aren't familiar with it, and you won't hear it on the radio very often. Penned by May, this high-energy, wailing song is a precursor to future hits like "We Will Rock You." This ballad was written by Deacon and featured his acoustic guitar paired with Mercury's strong vocals and piano. This song was one of a very few that were never played live by the band, and it served as a quiet, thoughtful contrast to another song on A Day at the Races, "Tie Your Mother Down." Written in the form of a three-act play, "It's Late" is another song written by May, this time for the band's 1977 album, News of the World. The song, which is about the end of a dramatic relationship, was actually released as a single in 1978 but only barely peaked on the Billboard's top 100 before being lost to time. It was certainly overshadowed by two other smash hits on the same album, "We Are the Champions" and We Will Rock You." Released in 1980, "Dragon Attack" was one of the band's favorite songs to play live as well as a favorite of mega-fans. Deacon once said it was his favorite Queen song ever, and we can see why. We love its epic nature, its soaring fun and its groovy, funky sound that dominated the band's early- to mid-80s career. Maybe it would have had a bigger chance for fame if it didn't appear on the band's 1980 effort The Game along with "Another One Bites the Dust" and "Crazy Little Thing Called Love." This late-era Queen song is a powerful take on the band's last days with Mercury. Written by May, it's about the guitarist's divorce (and affair) in the late '80s as well as the rumors that were swirling about Mercury as his health deteriorated after his AIDS diagnosis. Still, the band was able to take everything in stride and turn their grief into what many true fans consider one of their best tracks of all time. Also written by May, this song was written just after the formation of the band and appears on its debut album, which hit stores in 1970. 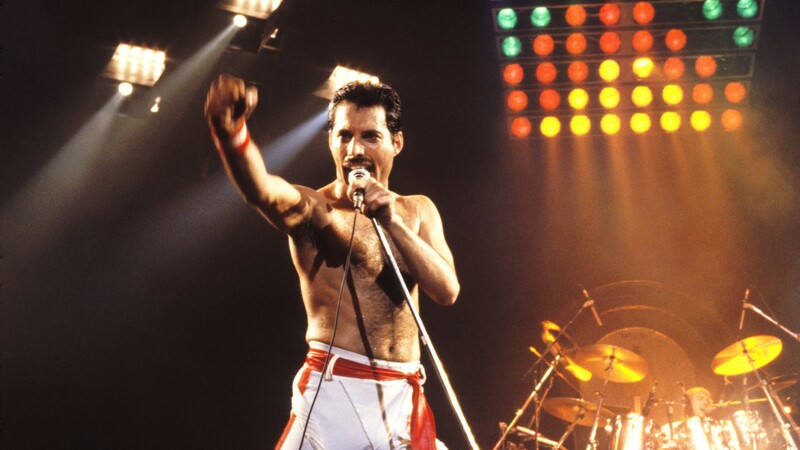 It signaled so much to come with its stellar songwriting, Mercury's operatic singing and tons of rocking. No, it's not as polished as some of the band's very best hits, but you can see the genius that is coming. May considered this song the song that allowed "Bohemian Rhapsody" to be written. Extremely complex musically and a favorite among die-hard Queen fans, it was never once played live in its entirety. Written by Mercury himself, it is everything he and the band stood for: fun, flamboyant, technical and dramatic.